– Location: 3001 Washington Sq. 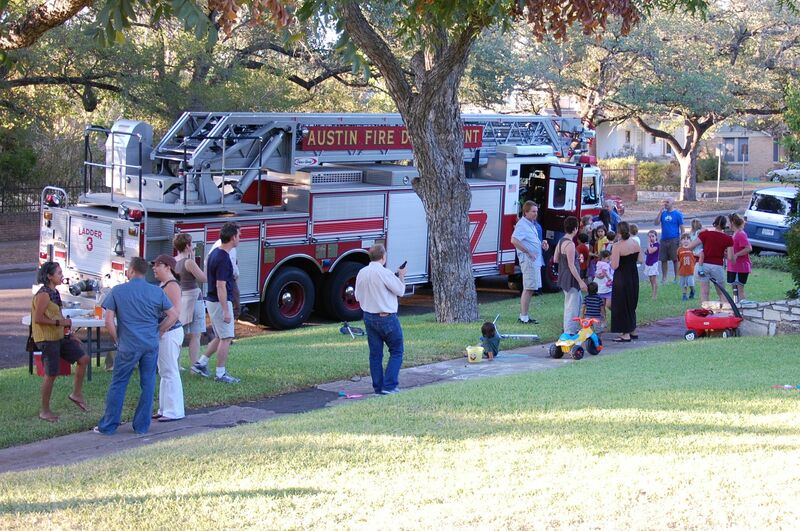 Here’s a picture from last year’s (2011) National Night Out. Tree trimming in the Heritage Neighborhood area!